Welcome to the Diversity in Science Carnival #8 in honor of Women’s History Month. Thanks to all of you who submitted posts. Women have long been prevented from having scientific careers. Responsibilities for raising a family, duties within a community, local customs, rules, and laws have been barriers preventing women from becoming scientists, engineers or mathematicians. But even those tenacious women who overcame the many hurdles and succeeded in their profession are now in danger of disappearing from history, as their stories are forgotten. In honor of this year’s theme for Women’s History Month, let’s write about some women with careers in science, technology, engineering and mathematics (STEM). Let’s get their stories back into the history books. Why should we care about women’s stories? First of all, women have made significant contributions to these STEM fields and deserve recognition. Secondly, by sharing women’s stories we can help girls to enter scientific fields in the future by allowing them to sidestep common pratfalls, or at least see the roadblocks in a historical context. And finally, encouraging women of all races to participate in STEM enriches everyone. Let’s start with an example of how history repeats itself. 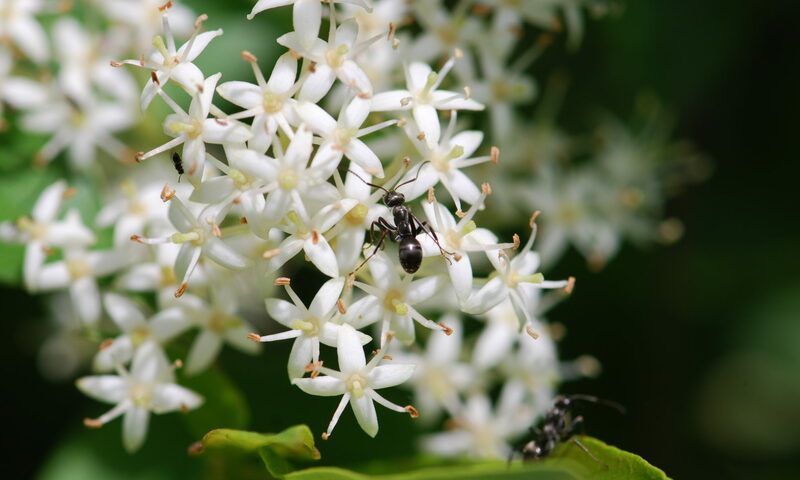 My grandmother, Mabel Austin, went to Cornell University where she studied botany, horticulture and entomology. Her burning desire was to become a high school biology teacher. Upon graduation, she eagerly sought work. She had two things going against her, though. Mabel had the misfortune to graduate in the 1930’s during the Great Depression when jobs were scarce. She also had the misfortune of being a woman. As she reported to me later, “All the high schools wanted the biology teacher to double as the football coach.” During those times (and these as well), women were not accepted as football coaches. Mabel never taught high school biology. Have things changed since the 1930’s? In the 1970’s, my male high school biology teacher also coached several sports. Fortunately he was also truly passionate about science and encouraged anyone who showed an interest or talent, regardless of gender. How about in 2010? Although progress has been made, when I asked my neighbor if her brilliant daughter still wanted to be a marine biologist, she replied that her daughter’s high school biology teacher was also a coach. He told them the first day of class that he didn’t like teaching science. She hated the class so much she gave up her dream of marine biology and now she’s studying marketing. How many women have been turned away from STEM through similar circumstances? How many discoveries and inventions have we squandered because of those losses? (Note: We had some wonderful posts come in late, so I have made some additions and changes on April 1, 2010). The Diversity in Science carnival starts with an extensive essay by Elizabeth Pain, Making Science and Family Fit about how Israeli structural biologist Michal Sharon manages to be a high profile scientist and a mother. Having a supportive husband who is willing to quit his job to allow her to follow her career is one critical element. Sharon wants to get the word out to young women, letting them know what they are capable of and what is possible. Samantha Miller at EKG Classes gives us a reminder of 15 Female Scientists Who Changed the World. Some of the women are still household names, but many are not. How many do you recognize? Chelsea Wald, editor of Under the Microscope: Where Women and Science Connect, brought Ada Lovelace Day to our attention, as well as the interesting and relevant posts which follow. Jill Tarter, devoted seeker: An Ada Lovelace Day tribute by Sam Lemonick discusses the work of Jill Tarter, the scientist whose work inspired the movie, Contact. 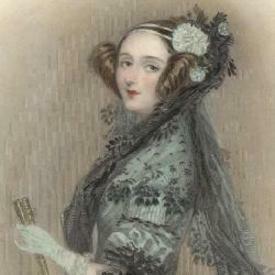 The Ada Lovelace Day website has a list of all Ada Lovelace Day blog posts. Being an entomologist, I am particularly interested in women entomologists. Debbie Ball has a list of seven Women Entomologists of the 19th and Early 20th Centuries at About.com. As she points out, women often were not allowed to publish their results under their own name, which makes it difficult to establish how much of a contribution they actually made. For example, some of Mary Ball’s discoveries were credited to her brother. Women have participated in science and technology from the first. Telescope Women in History is a video that celebrates women astronomers from the earliest days of science. For a fascinating look at women in science, visit the Smithsonian Institution Archives sampling of images of women scientists and engineers from around the world. 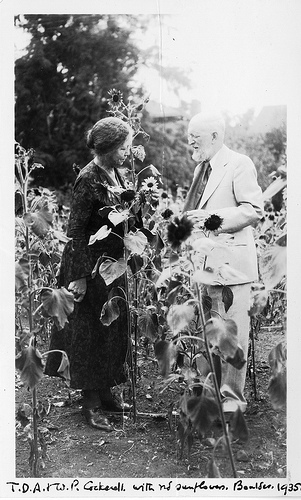 This is the source of the photo below of botanist Wilmatte Porter Cockerell with biologist Theodore Dru Alison Cockerell standing with sunflowers. See how many women scientists from the past you can recognize at the Smithsonian site. To wrap up this section, Kristina Necovska’s post about Top International Women’s Day and Women’s History Month events on science covers a plethora of happenings relevant to women in STEM. Navy Allows Women on Subs by Kevin Zelnio discusses how a career that had once been off limits to women might be opening up in the near future. Engineer Girl! has a list of biographies of 14 Great Women in Engineering History. Agnes Scott College has an ongoing project recording the biographies of women mathematicians.The website also has information about the International Conference of Women Mathematicians (ICWM), which will take place in Hyderabad, India, on August 17 and 18, 2010. Finally, perhaps it is time we as women began to write down our own stories. Chelsea Wald has invited women in science, technology, engineering and math to write a message to themselves at a younger age. See the results at Message 2 a younger me. Dr. DNLee found she missed an opportunity to interact with a scientific mentor when she was an undergraduate student, which she tells her younger self in Right under my nose: Dr. Rubye Torrey, Sister in Science. Let us know if you have posts about yourself or other women in STEM to share. Let’s keep telling the stories. The April Carnival will be hosted at Rooted in the Earth. Since April is the month we celebrate earth day, arbor day, environmental awareness and all other earthy-eco-related things, the the theme for Diversity in Science Carnival will be “All Shades of Green” Diversity in Outdoor and Environmental Awareness. If you are interested in participating, please submit your posts via the carnival submission form. 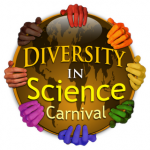 The Diversity in Science Blog Carnival was started by DNLee of Urban Science Adventures! ©. Please go visit her blog for past carnivals and information on how to participate in future carnivals.